Pierre: “I noticed they don’t add wheat, corn, gluten, soy, artificial colors or preservatives to their products. The co-owners of RedBard are Jeff Baikie and Howard Bloxam. They have been lifelong friends and started the company way back in 1996. I love when a business is founded on friendship and a love for dogs. They are cat people too and have started making food for our feline friends." Barky Bark® is made from esophagus slow-roasted in its own natural juices for a unique crunchy texture. The esophagus cartilage is an excellent source of chondroitin for that may help support joint function. Bully Nuggets are bite-sized pieces of beef lung roasted in secret bully stick gravy. That gravy contains chick cartilage and salmon oil to help your dog’s joints. The sight of this bag brings Bentley and Pierre running. Bully Slices™ contain natural cowhide tossed in a coating made from real peanut butter. Bully Sticks 7” all beef chews made from grass-fed cows. These single ingredient treats gently scrape plaque from your dog’s teeth to help keep their teeth healthy. Gotta love a bully stick. 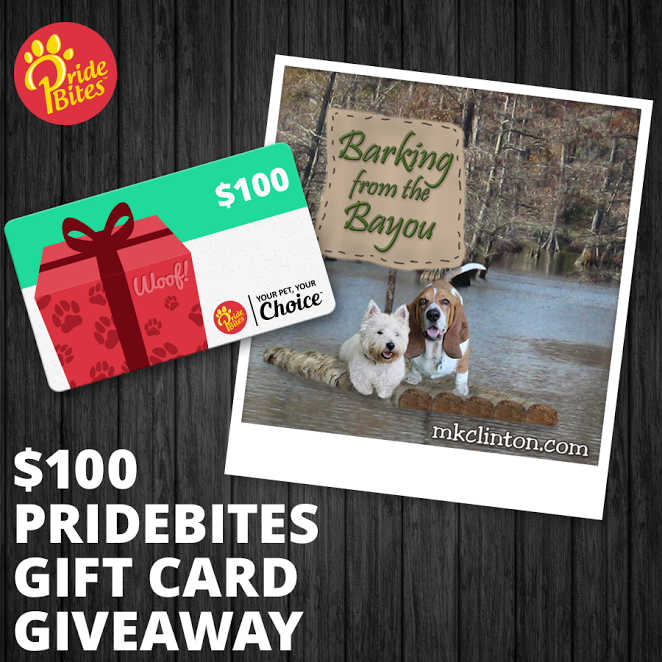 Chew-A-Bulls™ Premium Beef Dog Treat is a favorite here on the Bayou. They are genuine bully sticks and real peanut butter! These babies have our tails wagging! 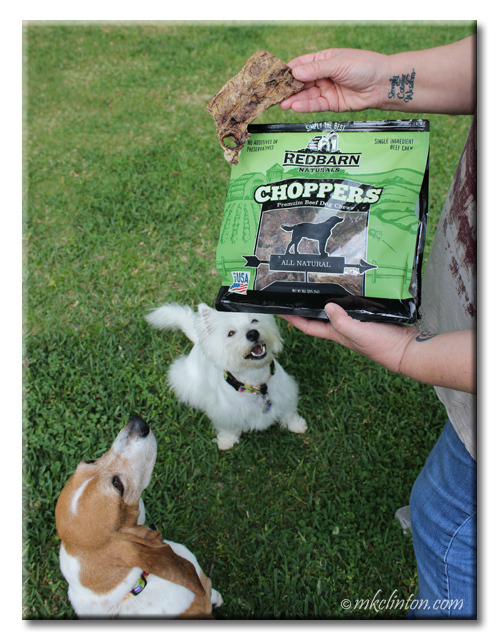 Choppers® will have dogs begging for more. These crunchy slow-baked beef lungs provide a Protein-Surge™ to help dogs power through their days of running and playing. Piggy Puffs® are all natural pork skin puffed to a light and crunchy texture. Slow roasted in their natural flavor these are easy to break and share although your dog will want the entire piece. Porky Slices are pig ears and a favorite of dogs. They also contain chondroitin for joint support. 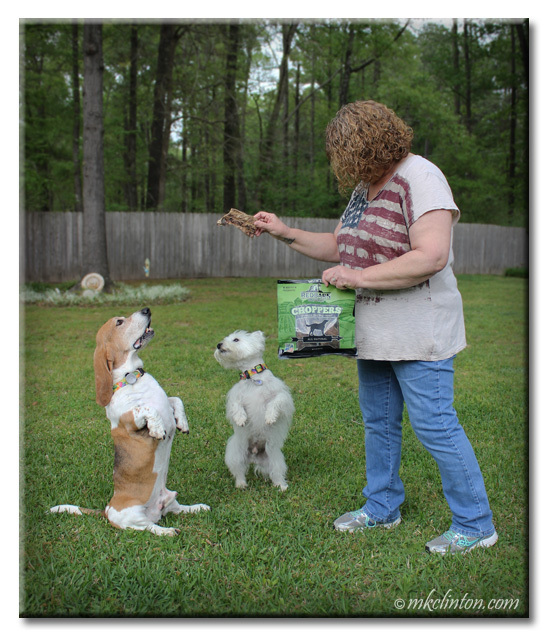 The Bayou Boys LOVE pig ears so much that I have to hide the bag! 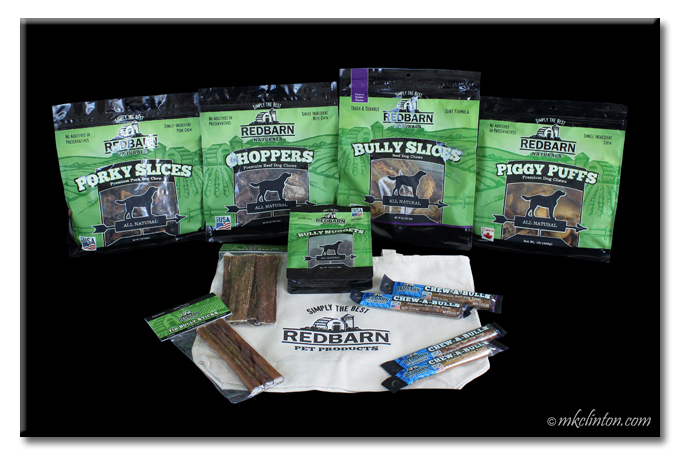 Follow RedBarn on Facebook and Twitter! We are working through a nice selection of these treats too! We love them, but so many to test...a tough life we have! I'm posting next week. Enjoy! They sound doggie-licious and Great Bend, Kansas just sounds as wholesome as you can get. Oh yum, yum!!!!! I would luffs ALL of them!!!!! Those sound very yummy indeed! Sounds like some good stuff! They all look and sound tasty! What a good variety of treats they have, and they sound like a high quality, conscientious company. That's a win/win for everyone! Wow! And that bag is huge! Great info guys! They MUST be GOOD... based on the NAMES fur each type of treat. and what they are made with/from. I love how Bentley sits for treats! These treats sound like the kind of things dogs dream about! Ooooh, those look tasty. I'll have to be on the look out for them. I'm sure the pups would LOVE them!